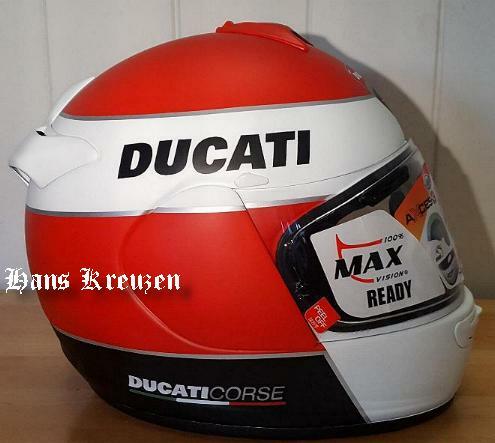 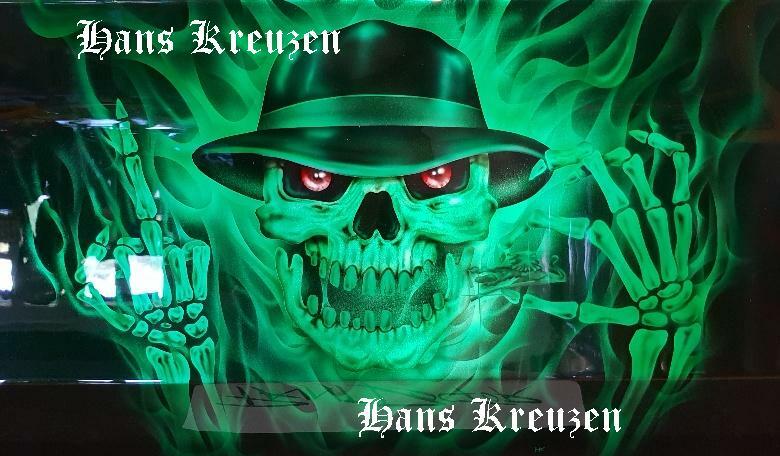 Who is Hans Kreuzen? 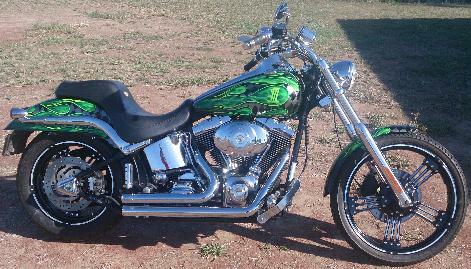 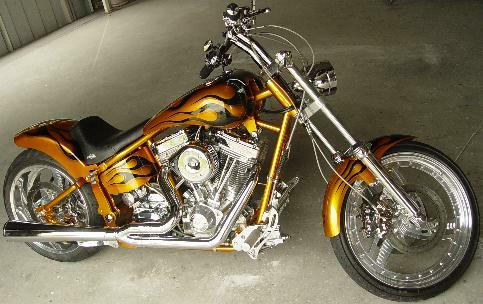 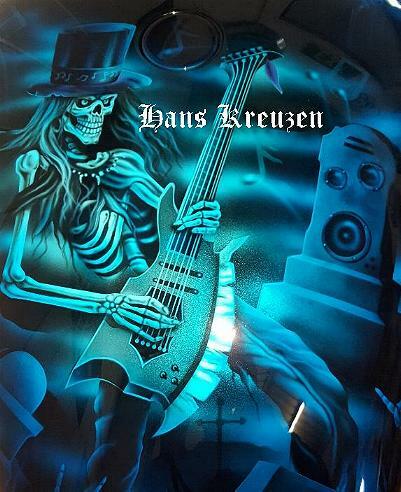 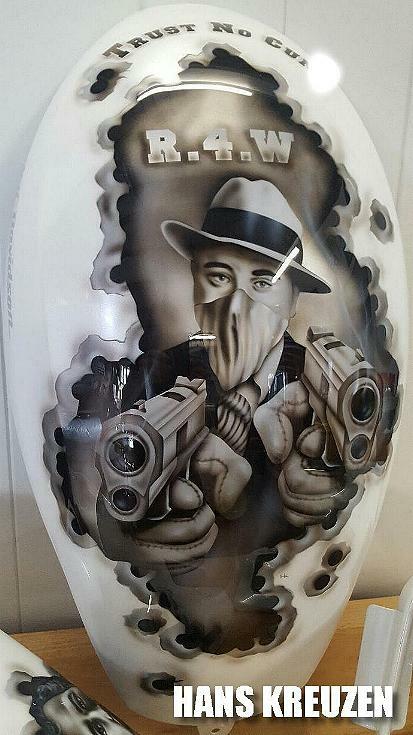 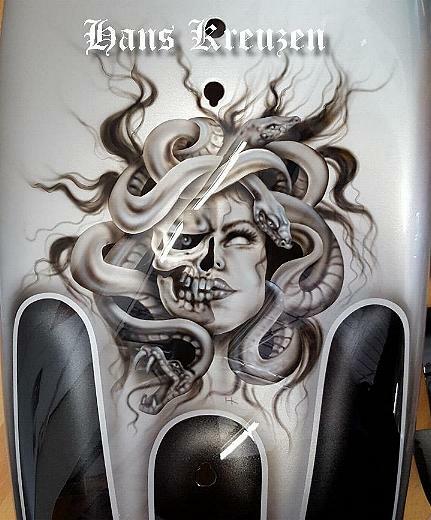 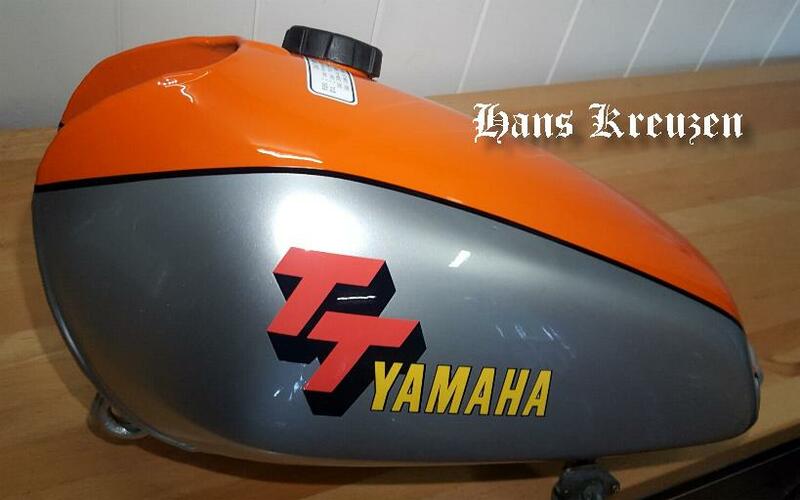 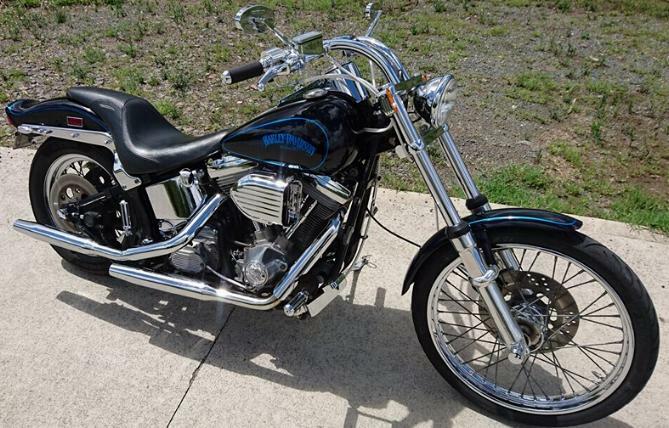 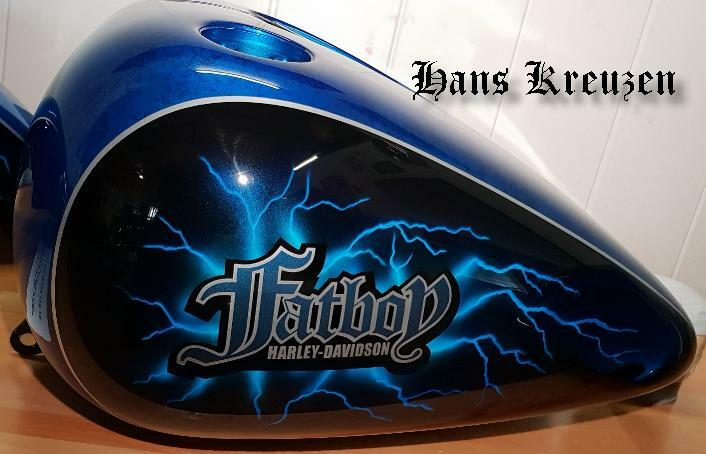 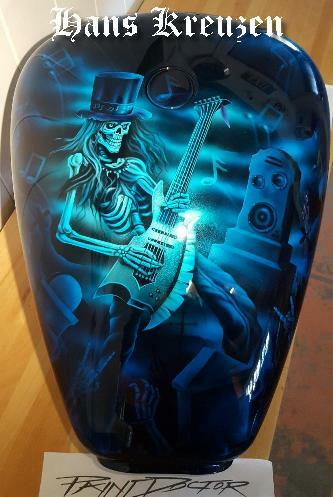 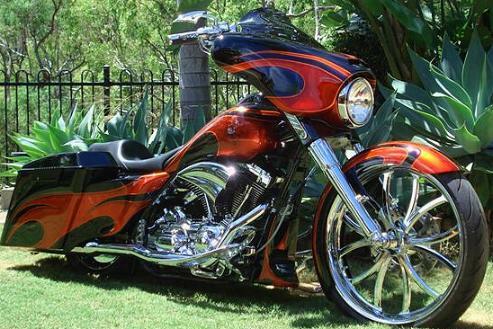 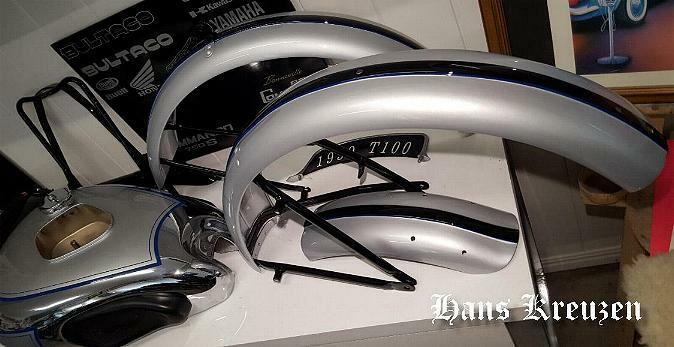 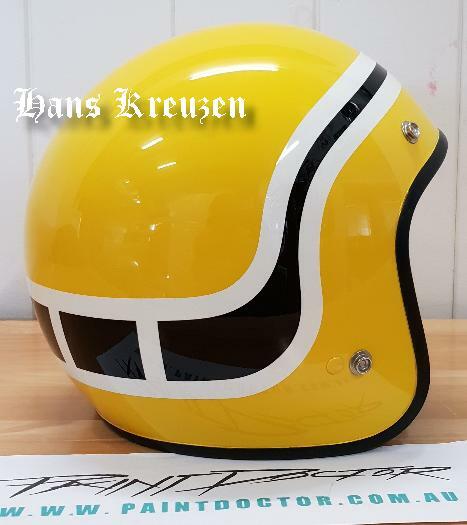 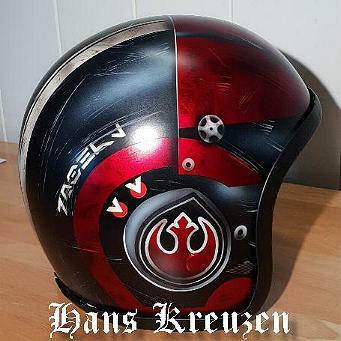 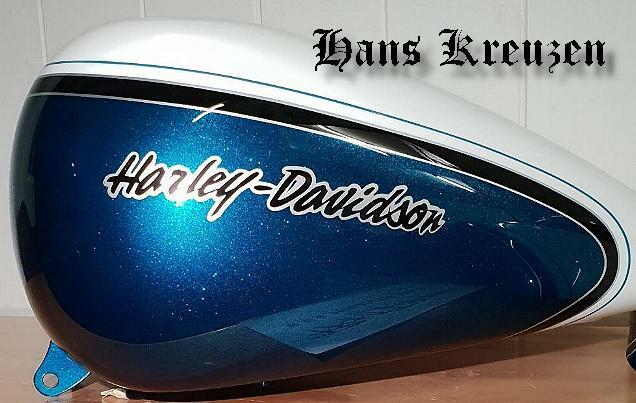 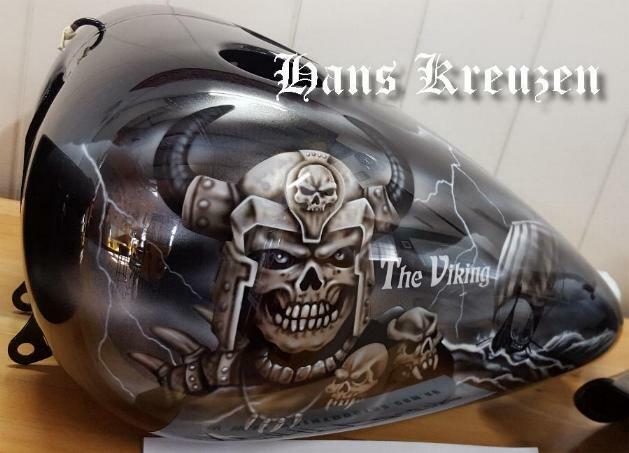 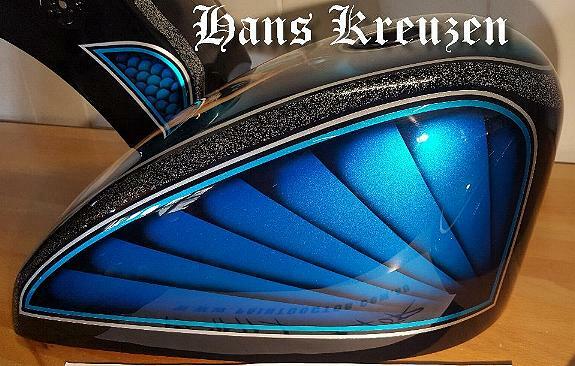 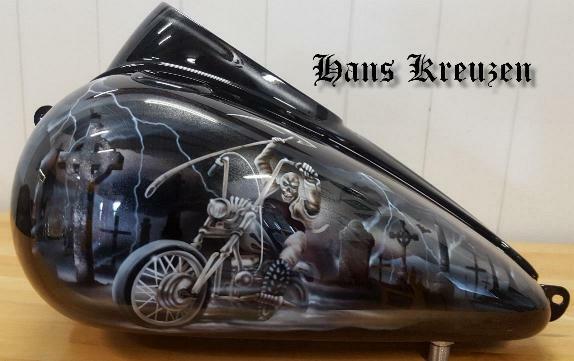 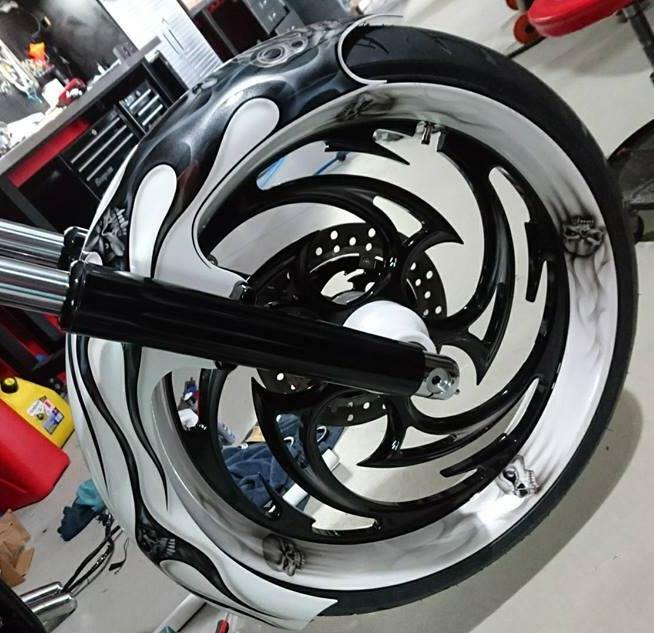 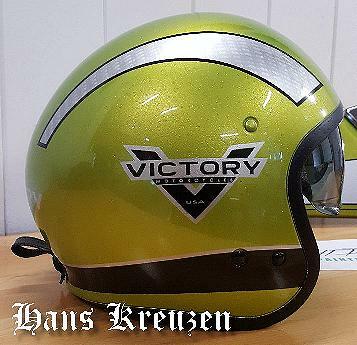 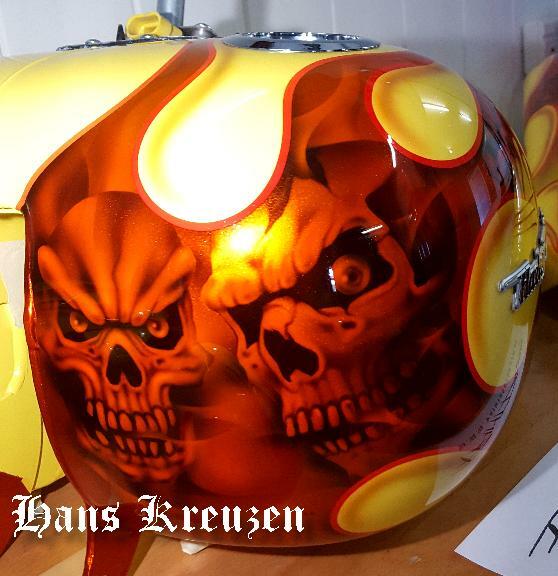 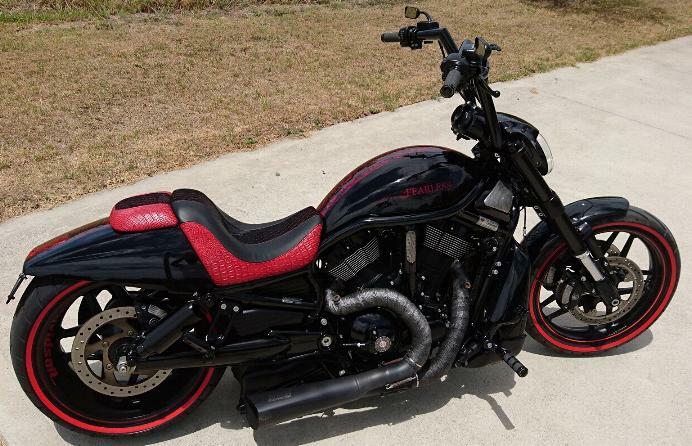 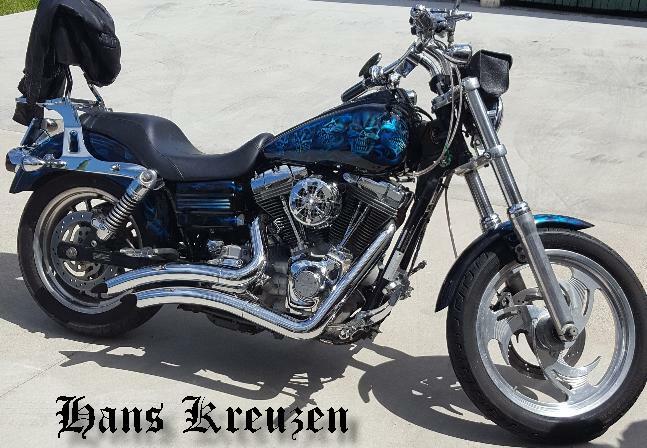 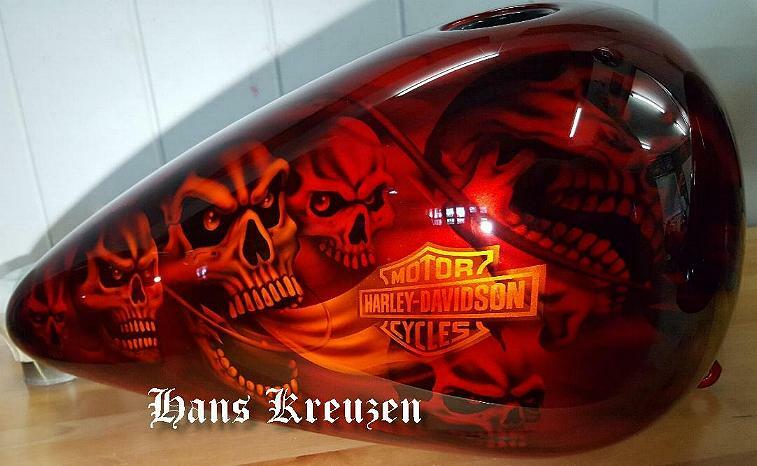 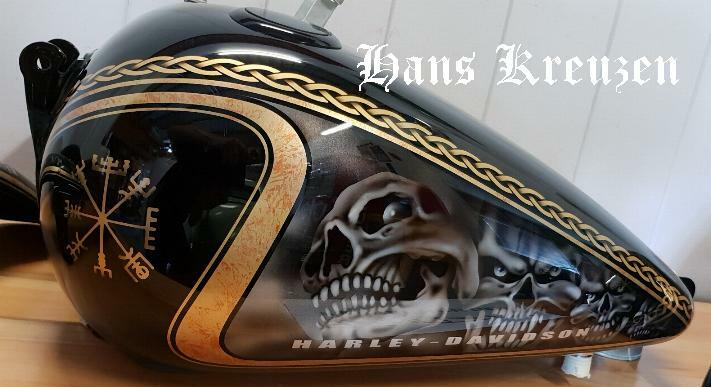 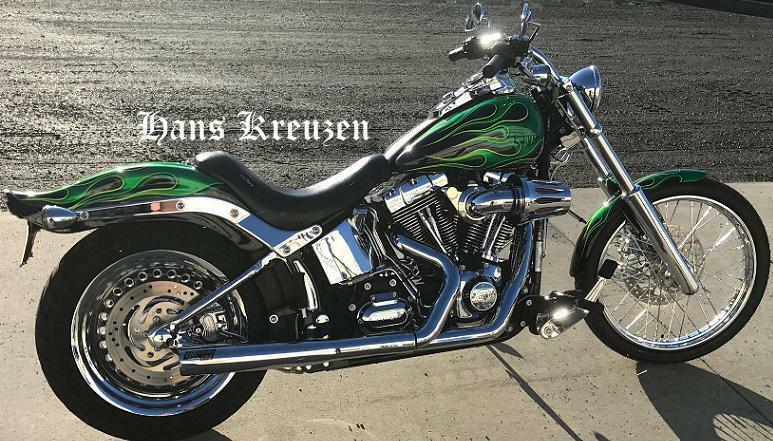 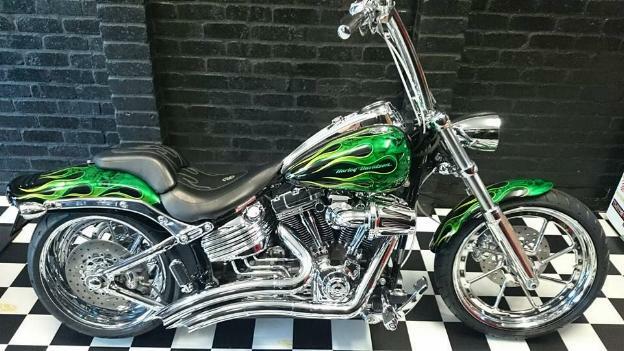 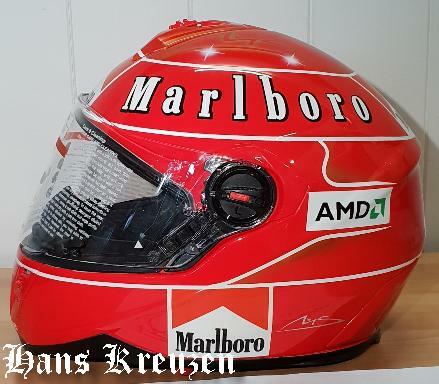 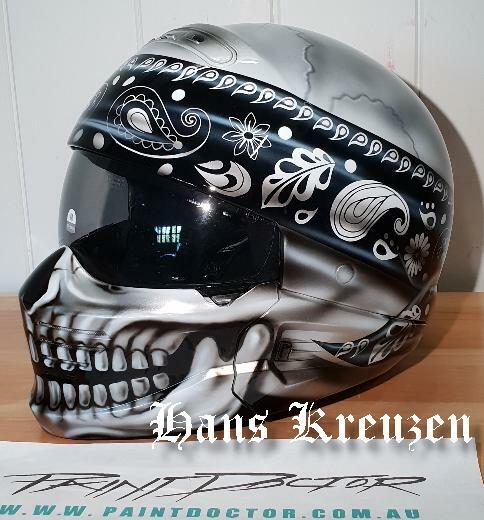 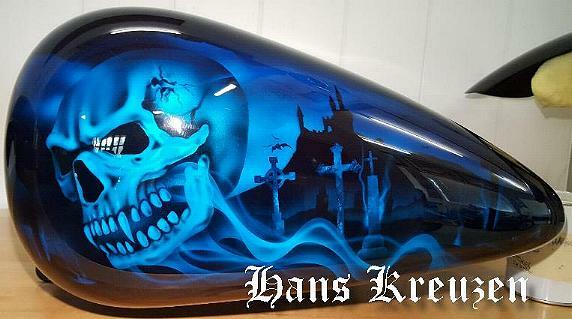 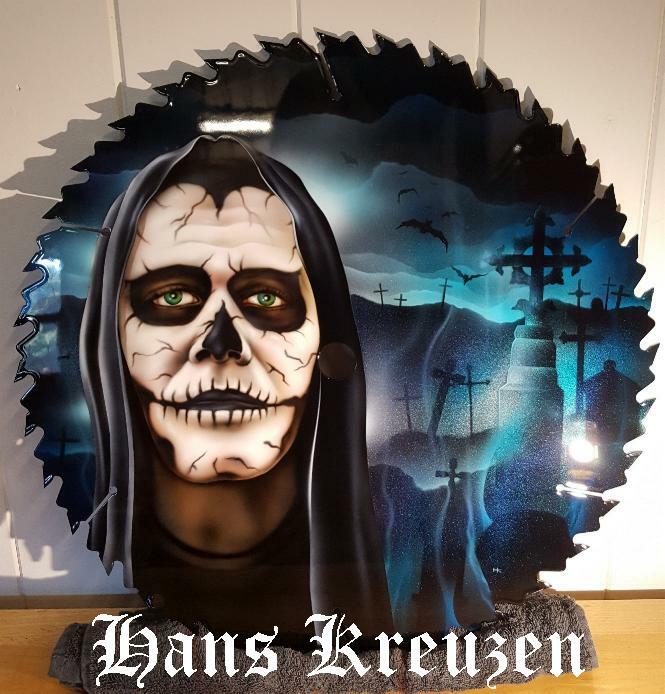 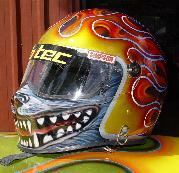 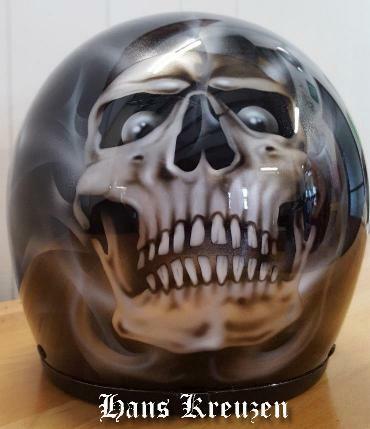 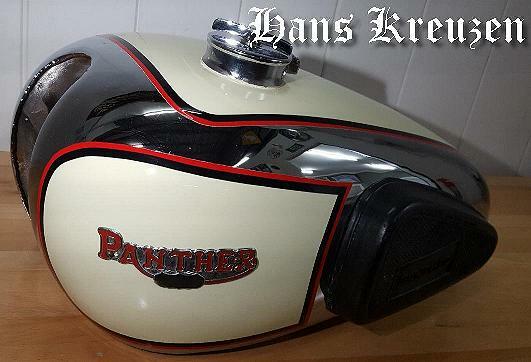 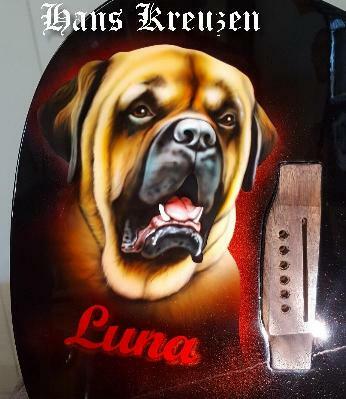 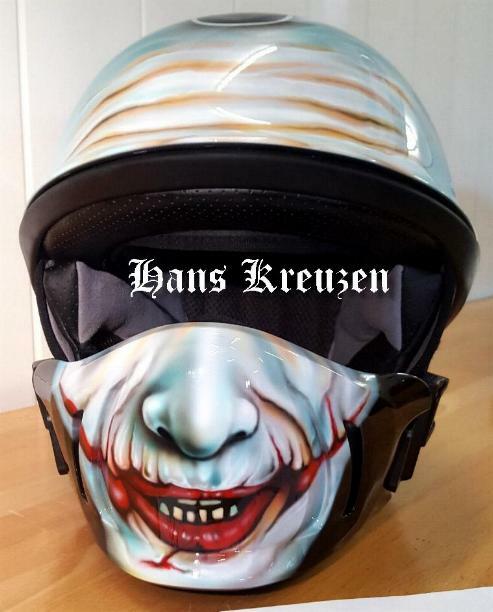 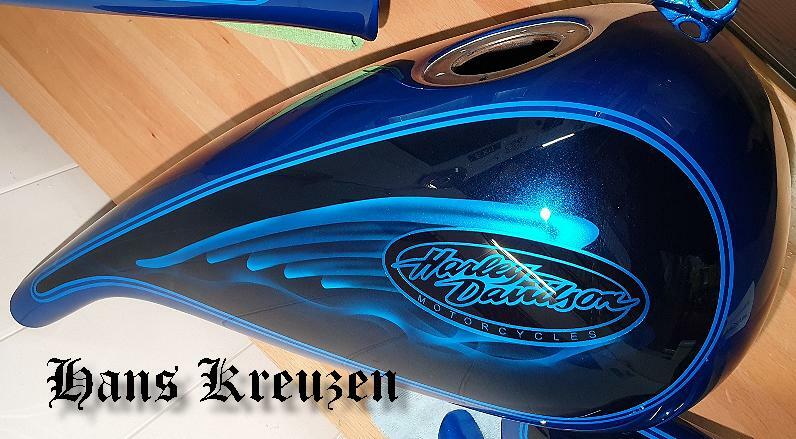 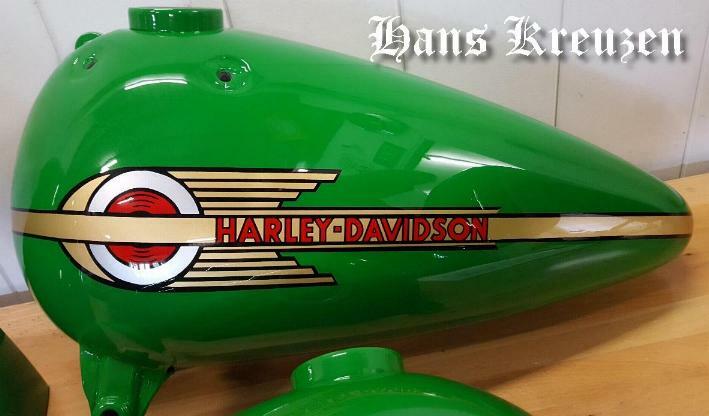 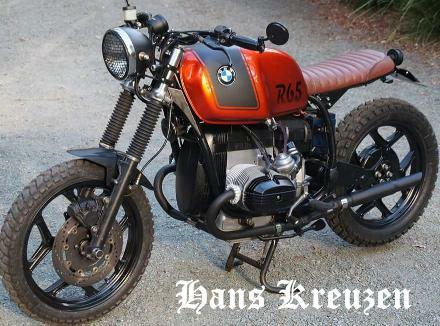 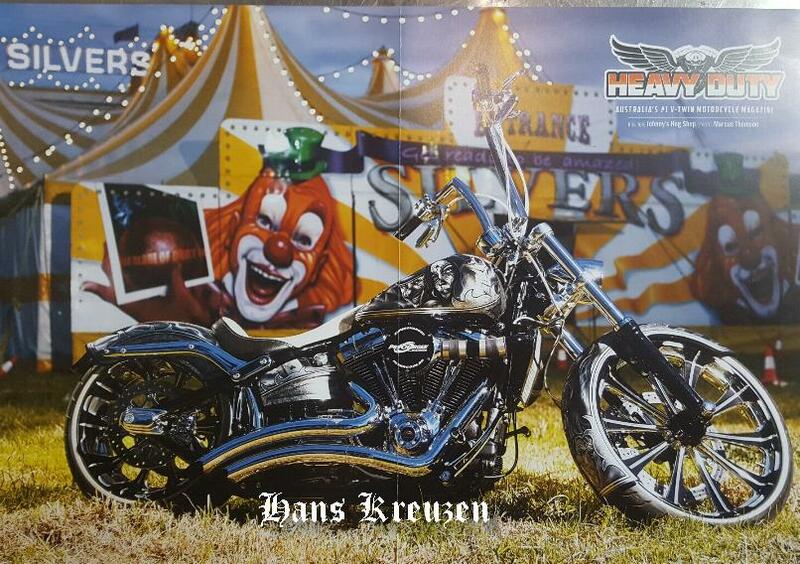 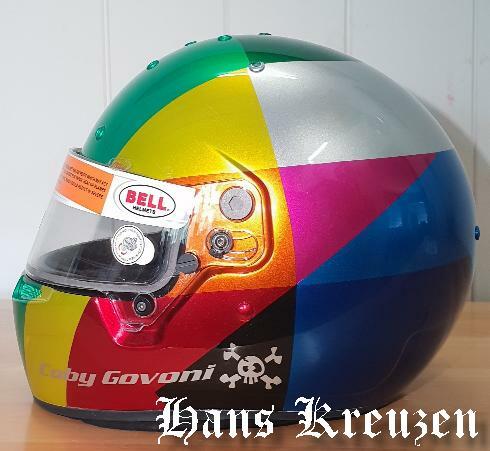 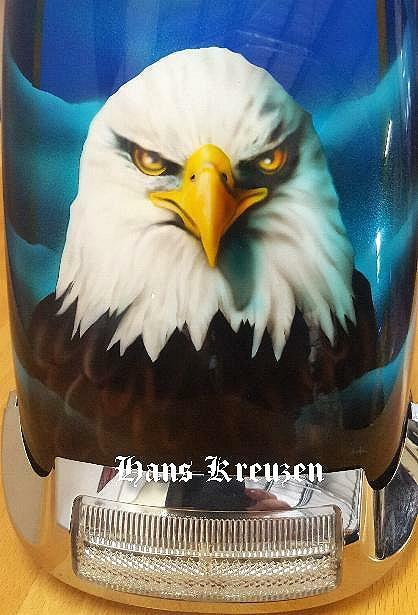 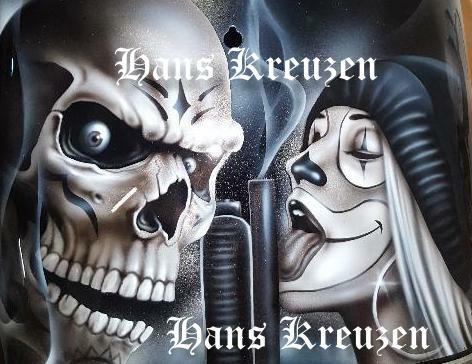 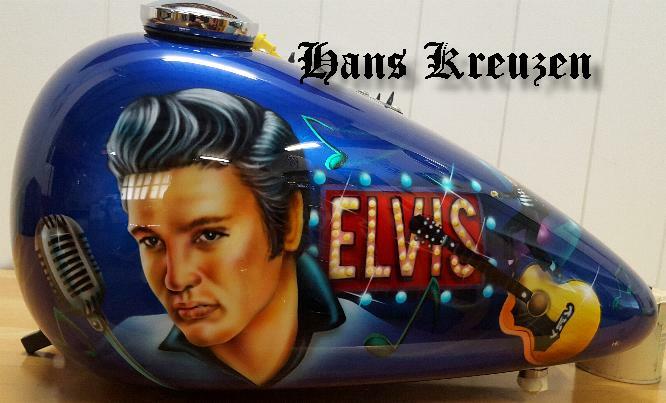 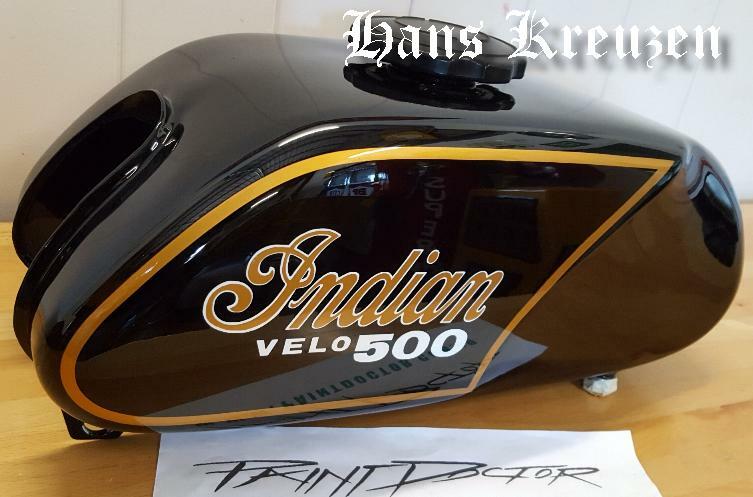 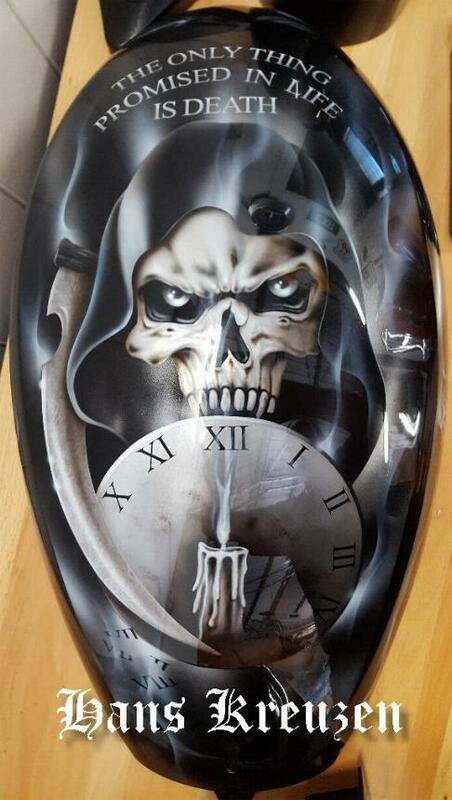 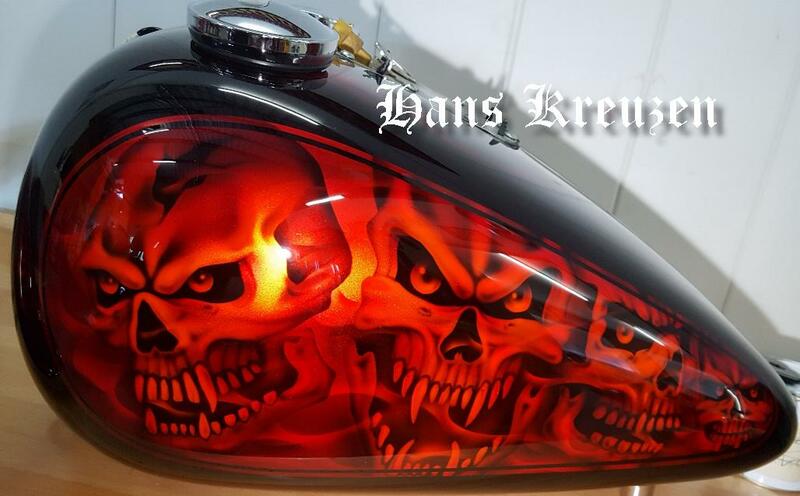 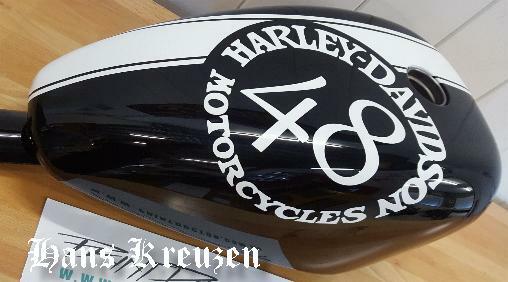 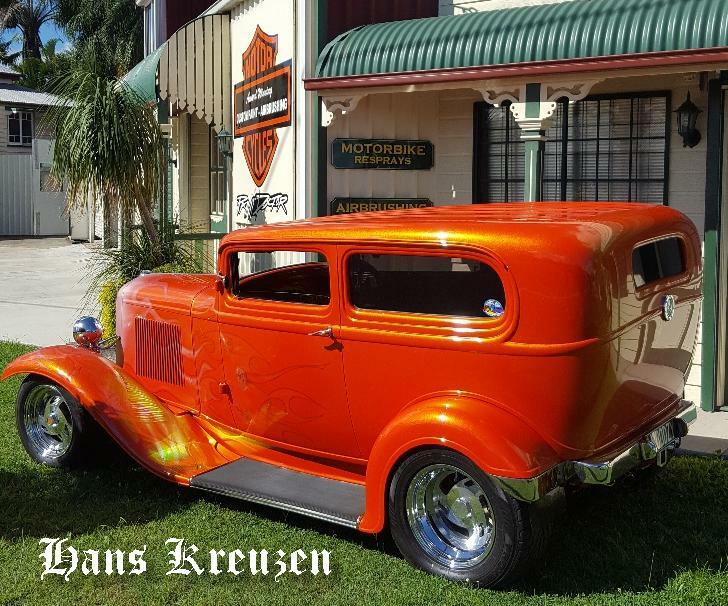 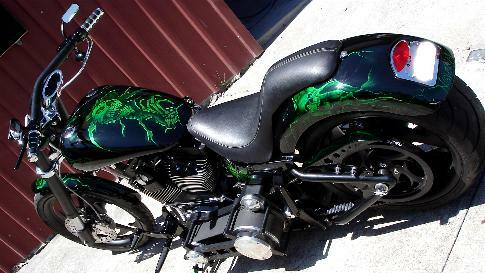 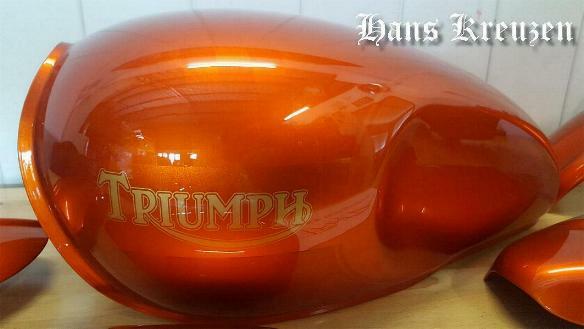 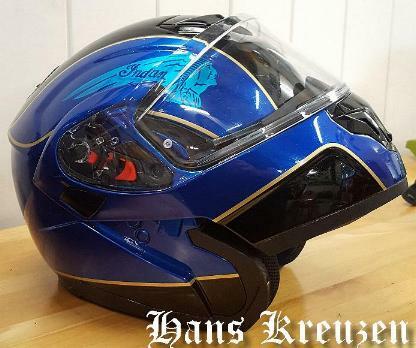 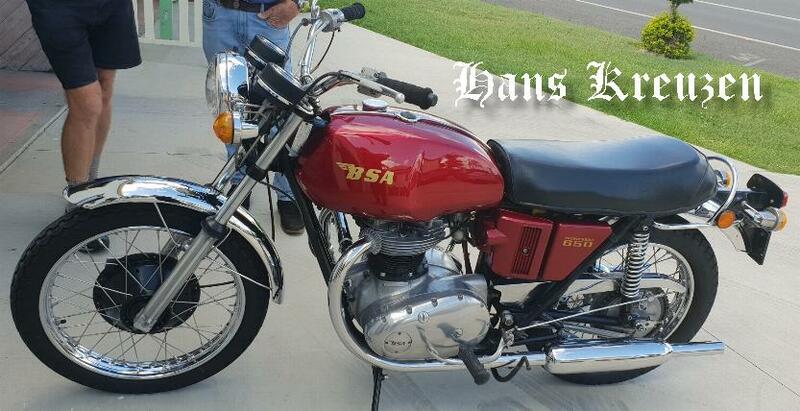 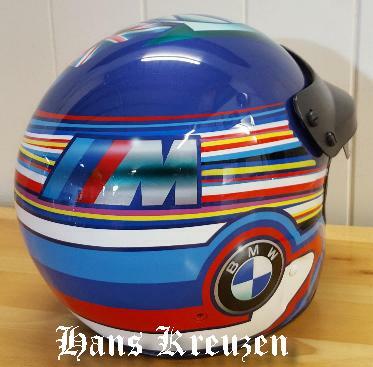 Hans has been involved in the automotive custom paint scene since the early 70's and has Airbrushed and Custom painted, Murals, Graphics, Flames etc. 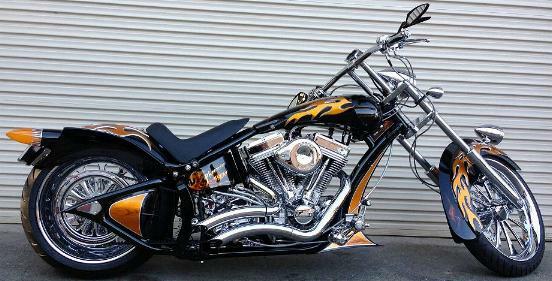 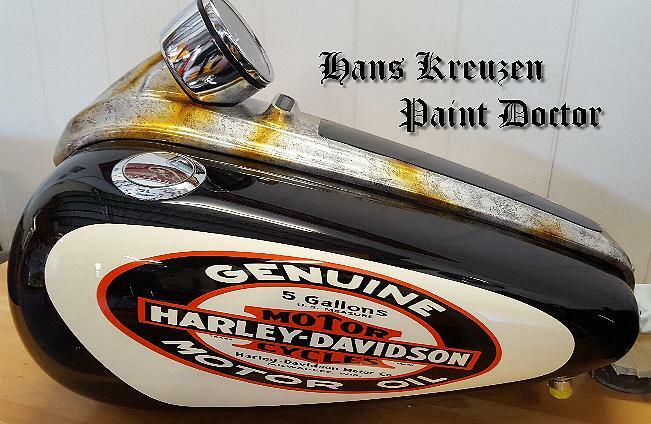 on many award winning Motorcycles, Choppers, Hotrod's Street Machines, Drag racing cars and just about anything that can be painted and published my own brush painted fine art prints. 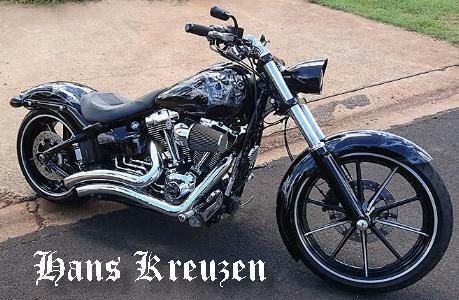 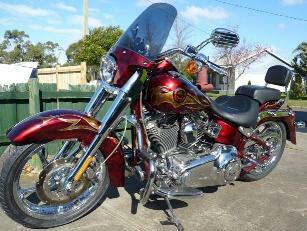 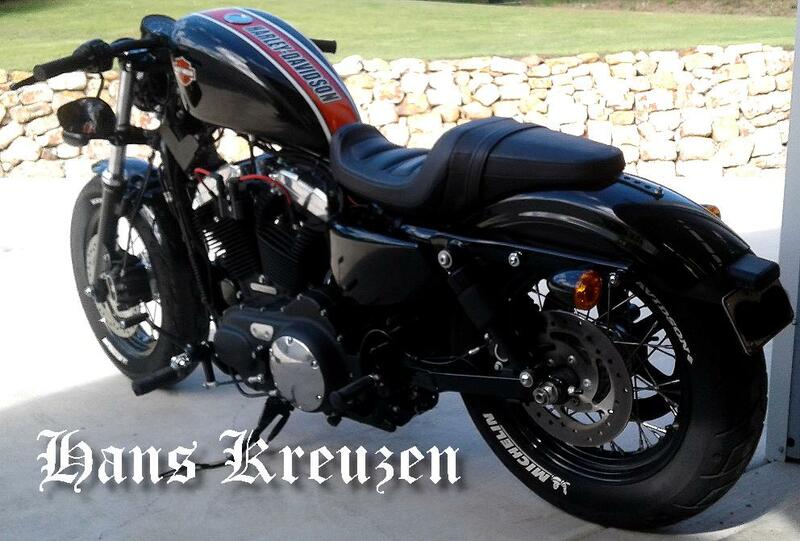 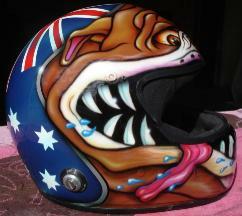 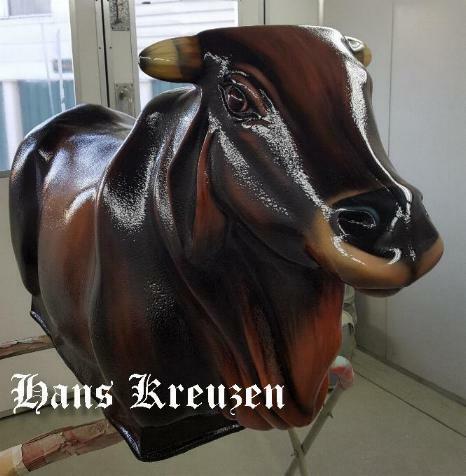 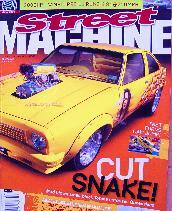 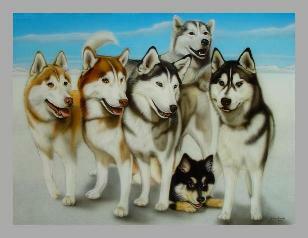 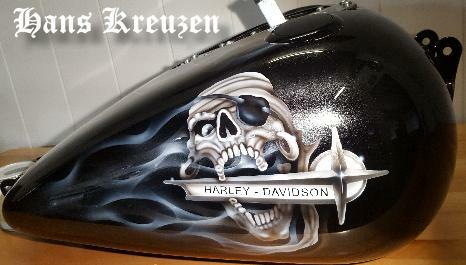 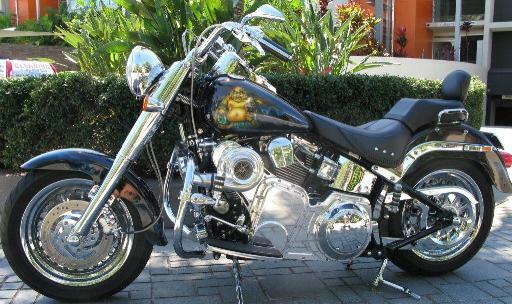 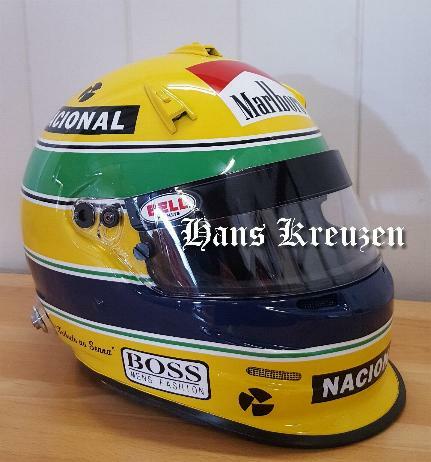 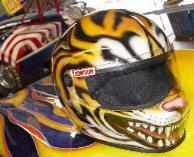 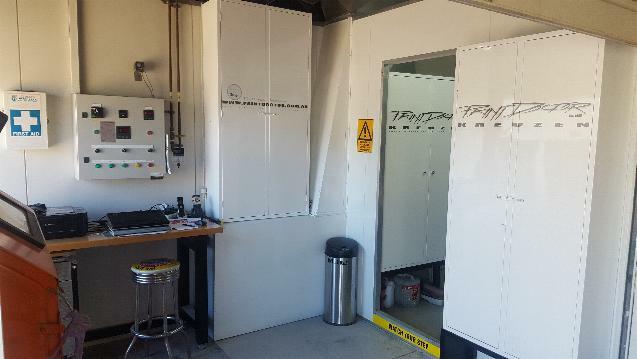 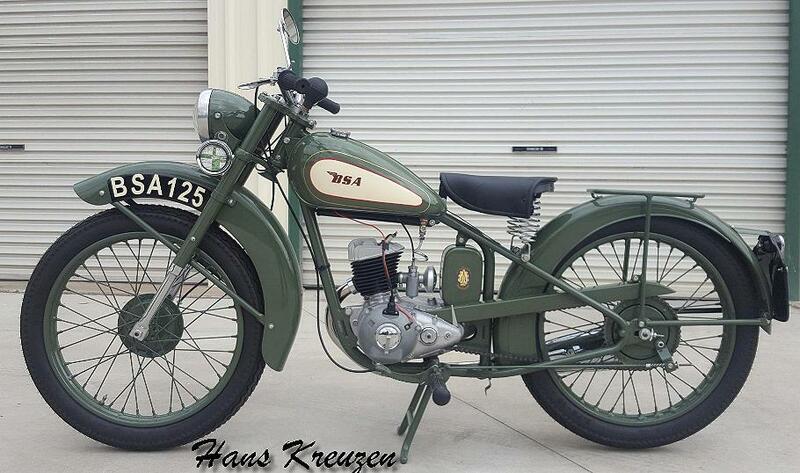 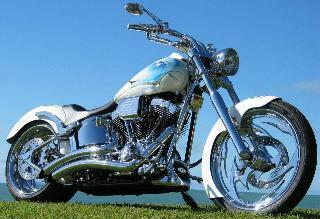 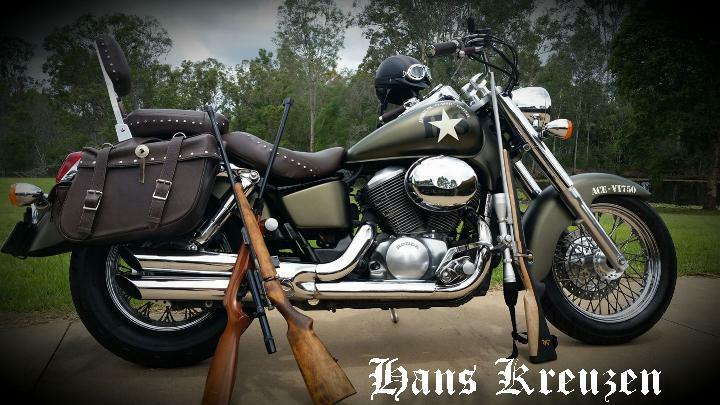 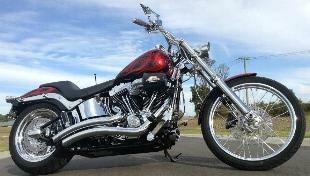 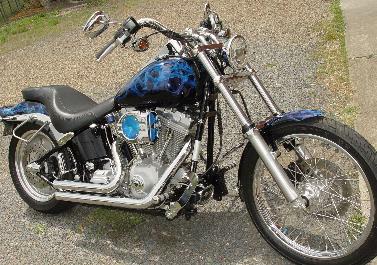 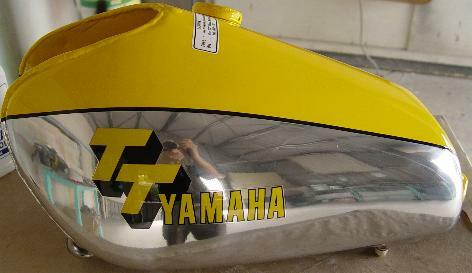 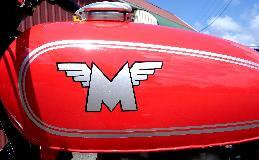 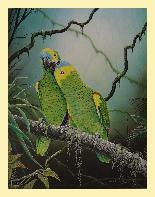 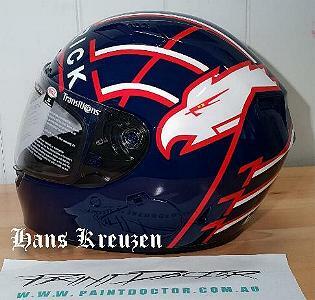 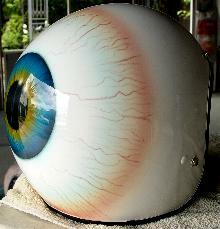 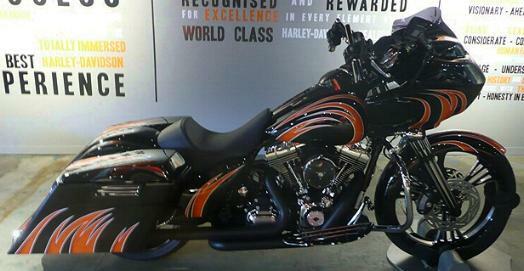 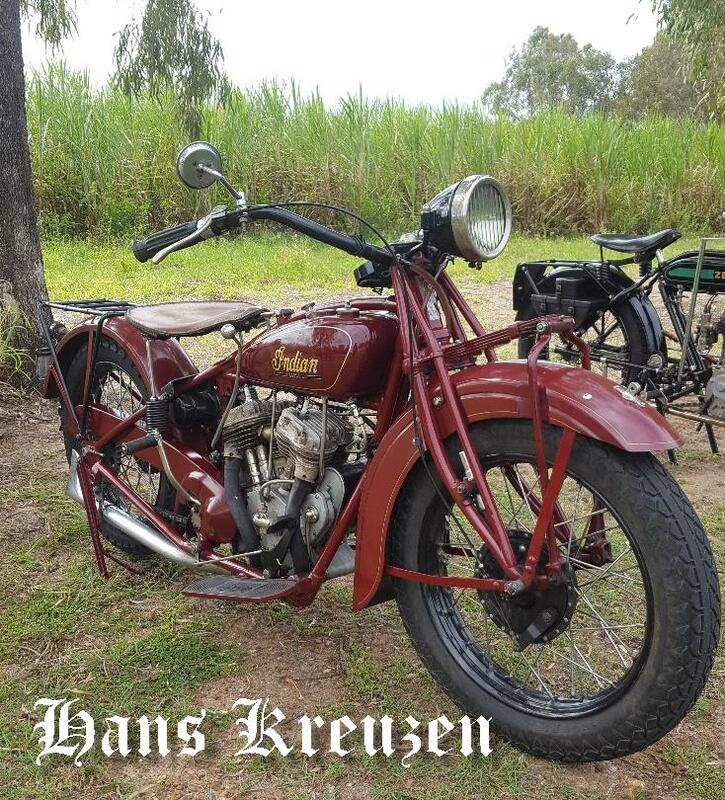 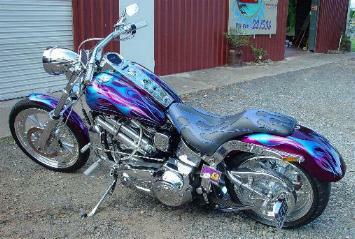 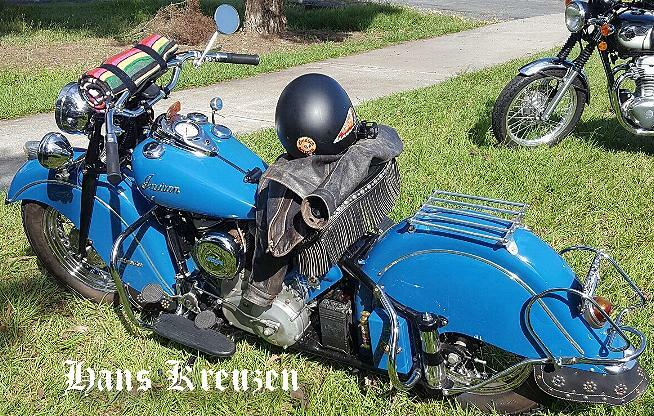 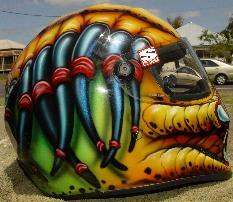 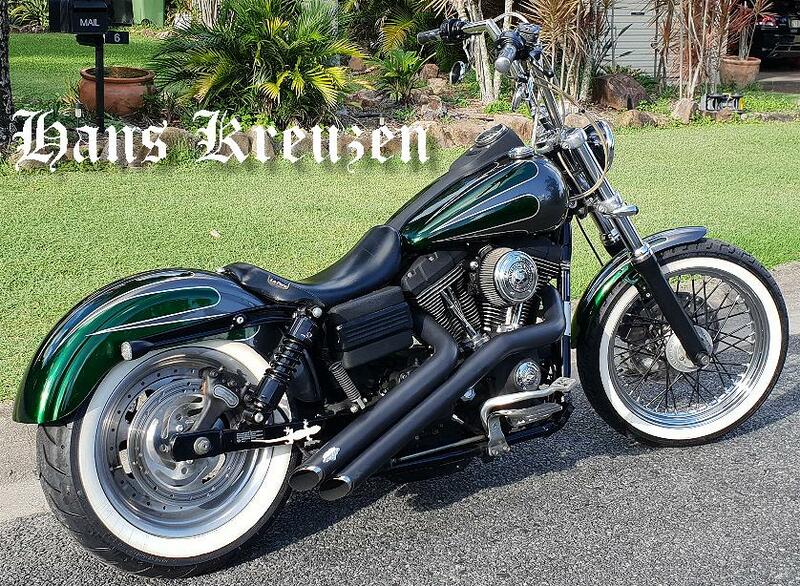 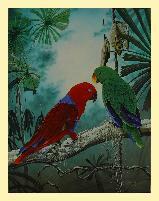 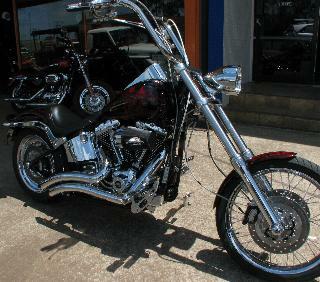 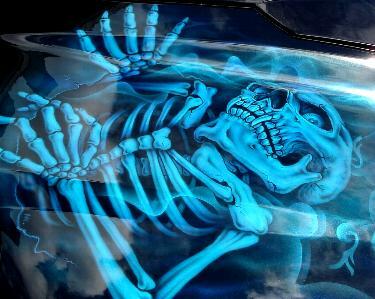 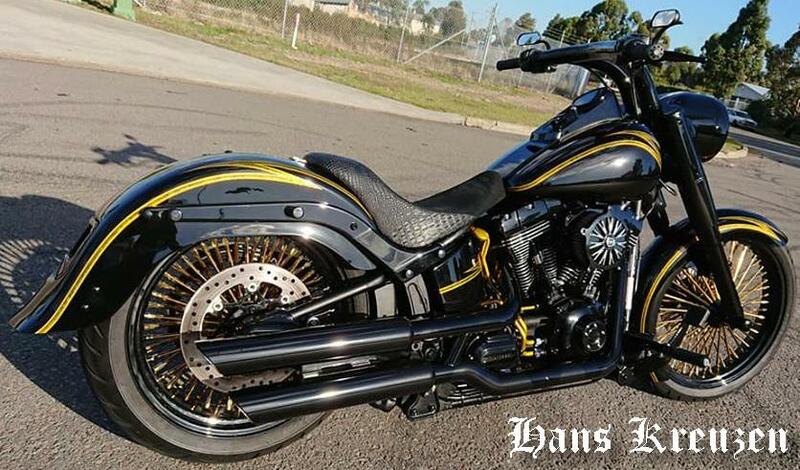 Hans Kreuzen has been operating "THE PAINT DOCTOR" in Maryborough Queensland since 1985. 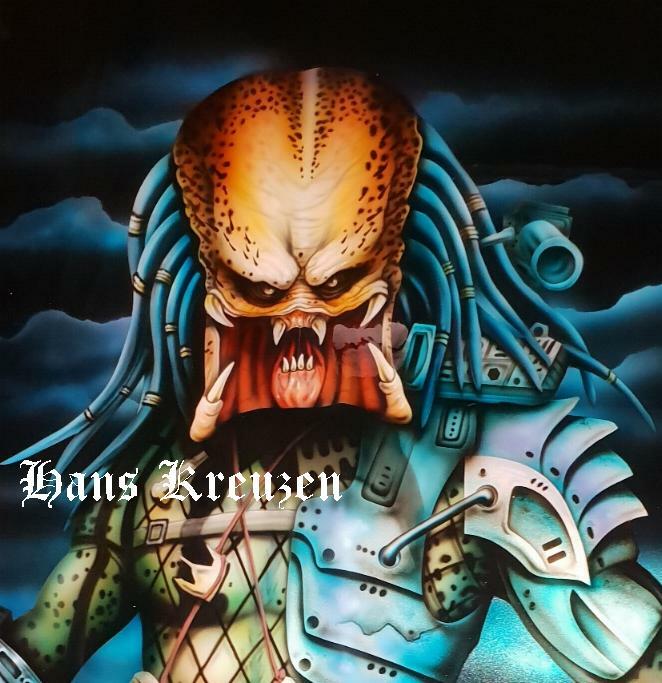 His talents have also led him to work in the film industry across the world, I have been operating my business in the same location with the same phone number for over 34 years and have thousand's of happy customers. 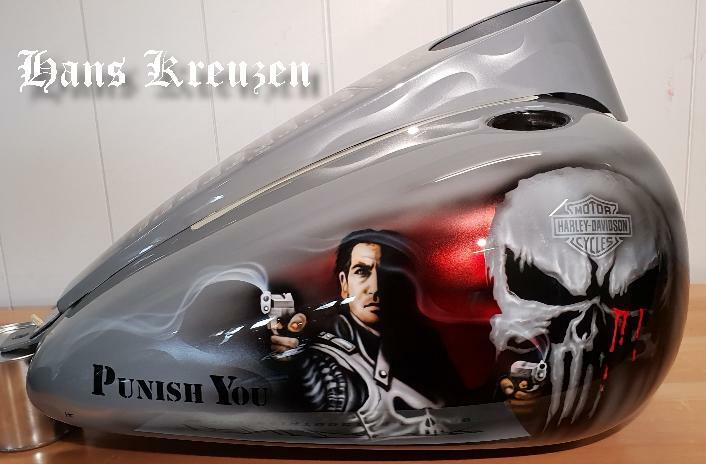 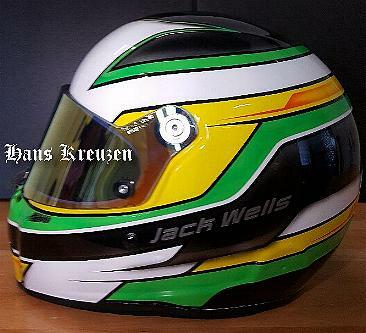 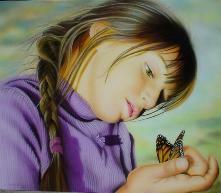 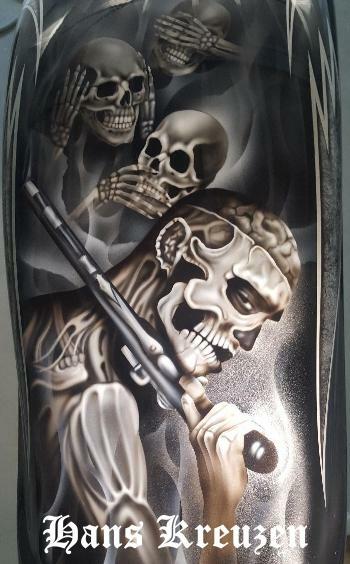 I build and take care of my own web site and Facebook page, I always try keep it up to date with the latest finished airbrushed project's. 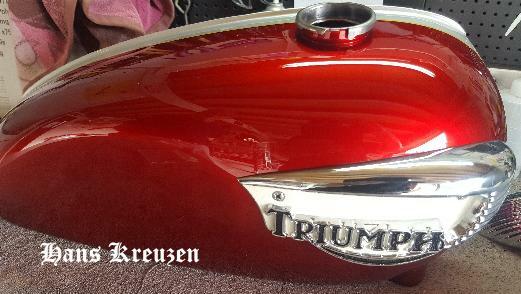 TIME The average turn around time is 2 to 3 weeks (not including postage) depending on the amount of bikes I have on the go at the time. 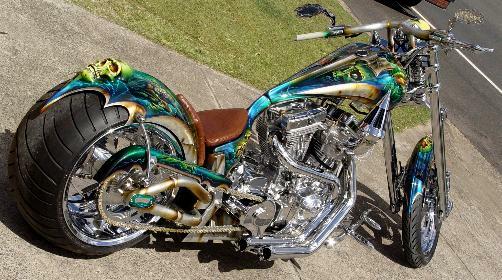 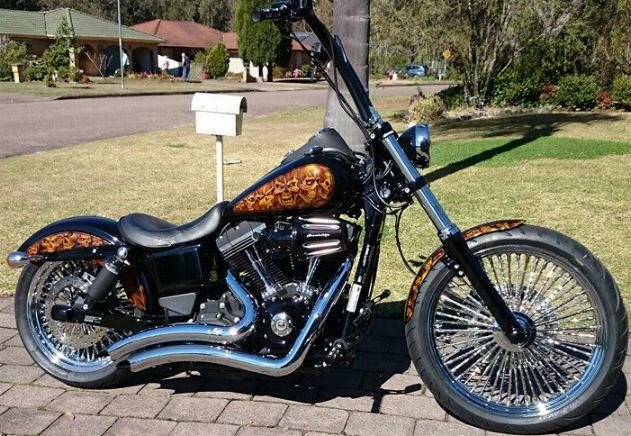 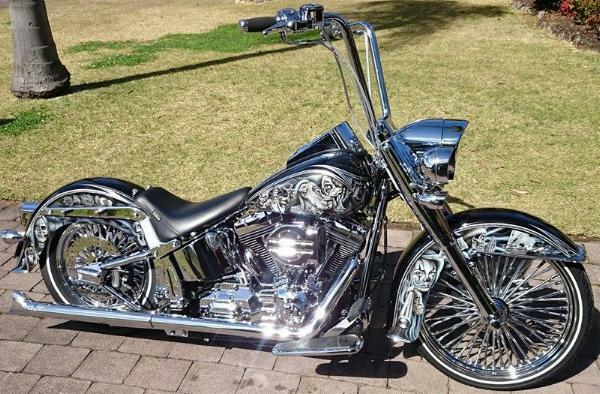 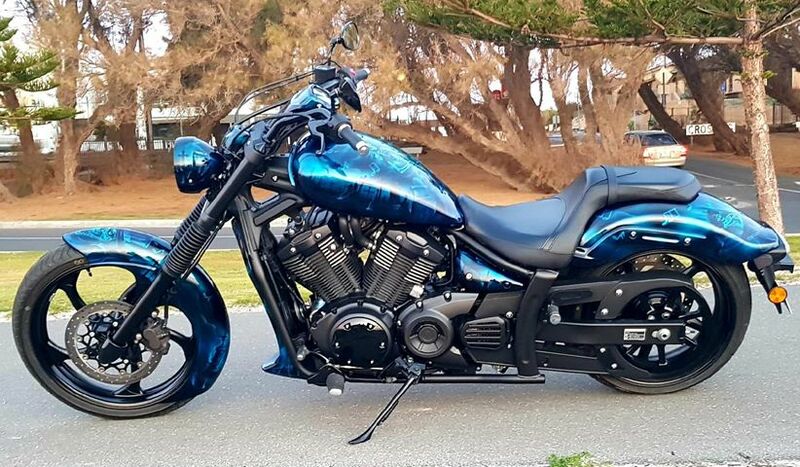 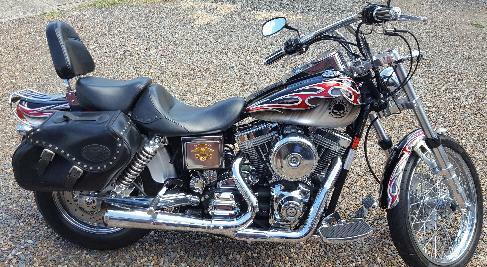 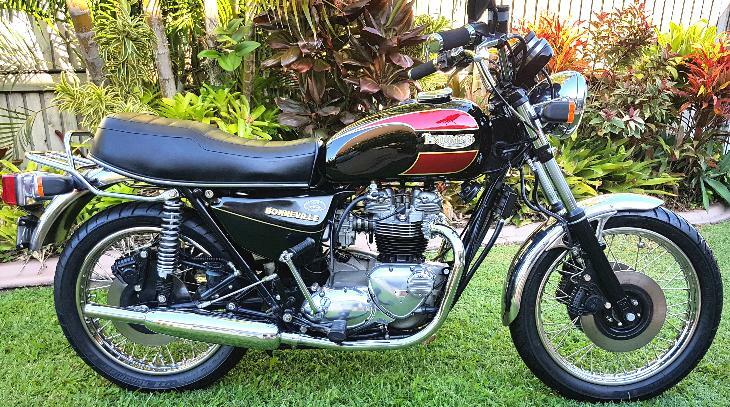 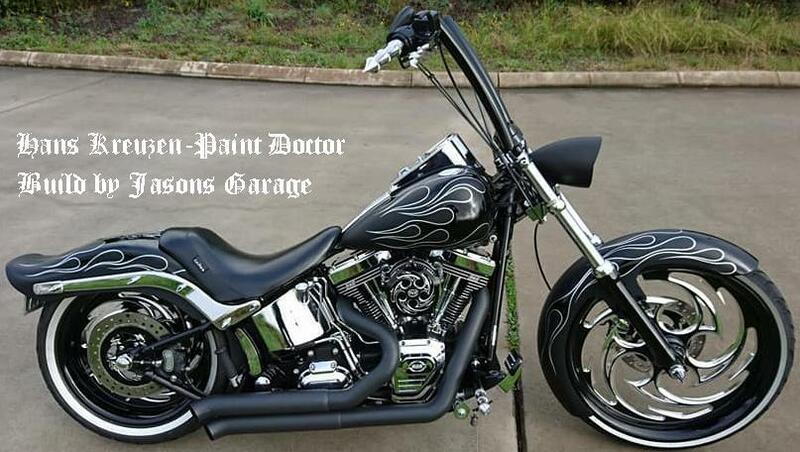 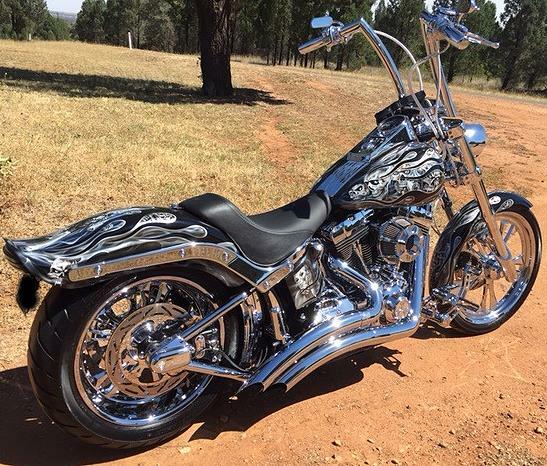 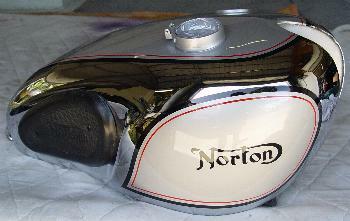 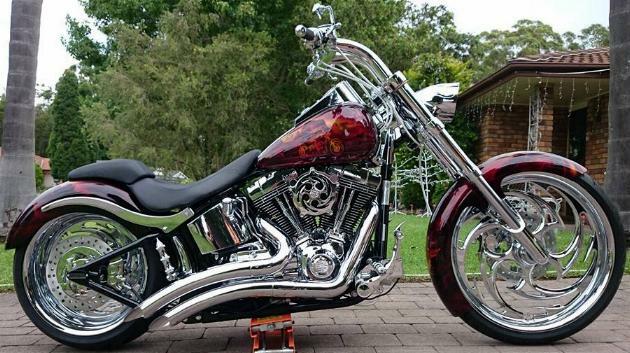 PAINTS USED: I use Protec paints produced in Australia and all the tin's I paint and airbrush will be clear coated with three coats of high solid two pack clear and buffed to a show winning finish. 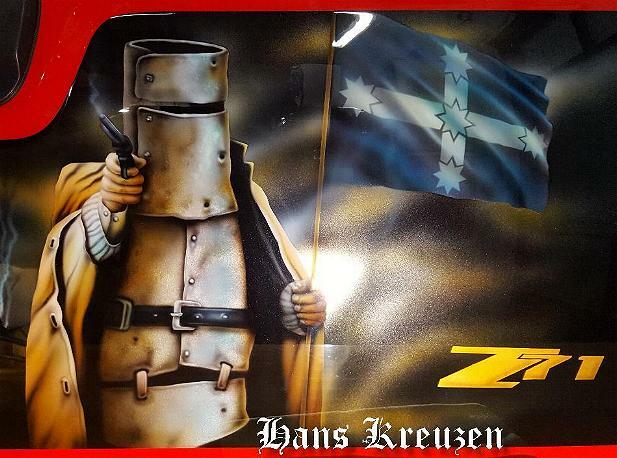 FREIGHT: I receive tin's from all across Australia, and I found "Australian Post" and "Fast Ways" to be the most reliable. 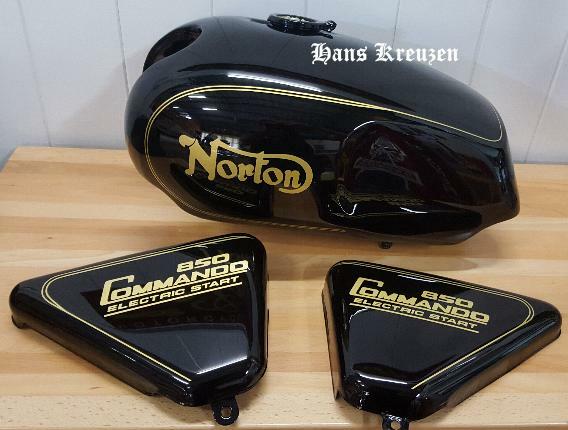 The guards will fit inside each other in one box and the tank in the second box, Make sure to use plenty of bubble wrap for the trip back home again. 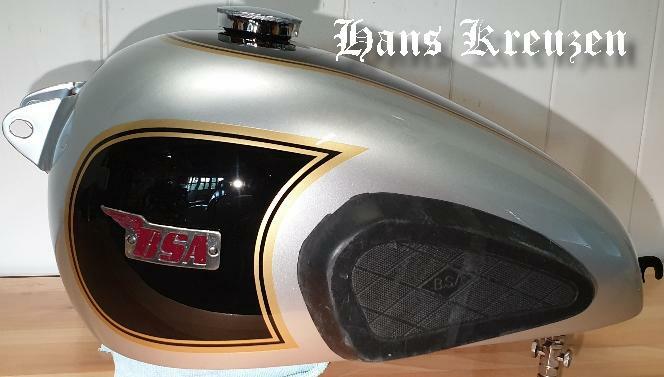 FREIGHT: I will email you the finished pictures of your tin's and the G.S.T. 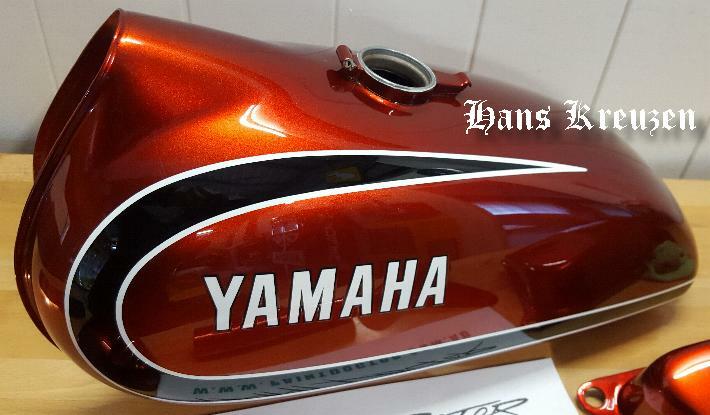 invoice with our banking details when your tin's are completed. 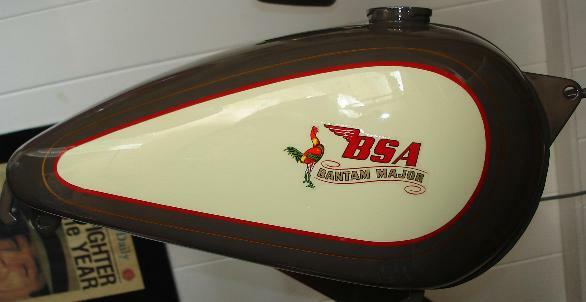 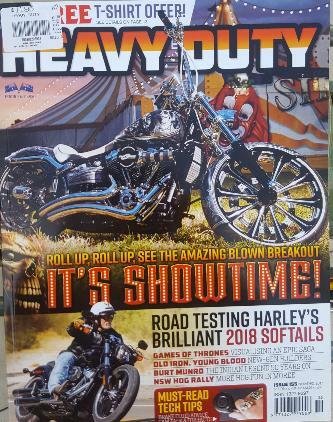 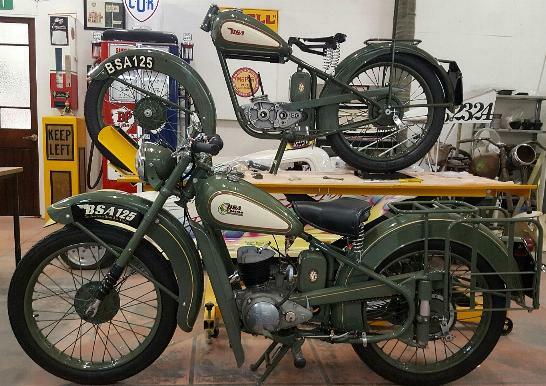 "Helmet's from all over Australia and now Europe"
Page 1 "More Airbrushed Motorcycles"
"The BSA 1948 D1 Bantam"
Only $49.50 each + P&H.